Low Brass Ensemble Music is a new type of listening and performance opportunity. 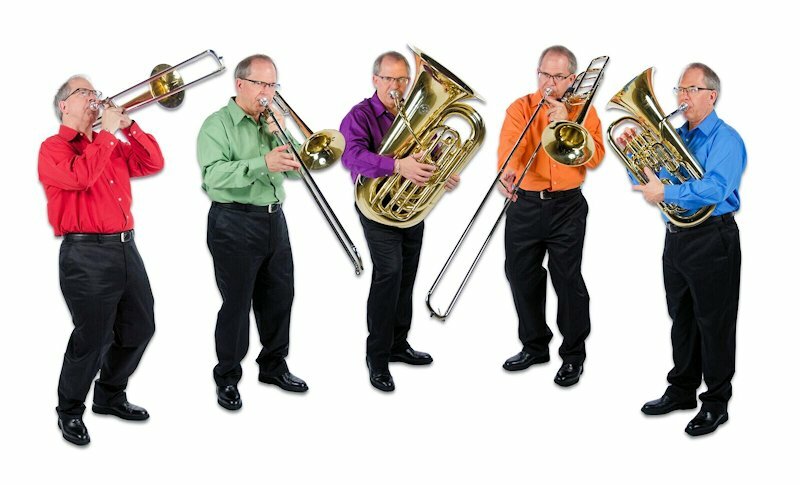 The musical sound is a cross between the Trombone Choir and the Tuba/Euphonium Ensemble, which are both popular groups. They each exclude the other half of the low brass section however, so the goal of the Low Brass Ensemble is to allow all of the low brass instruments to participate in one group. The instrumentation for the Low Brass Ensemble (LBE) is trombone 1, trombone 2, euphonium, and tuba. The music is all 4-part writing, so the Low Brass Ensemble can be used for chamber music as a quartet, or with multiple players on each part as a large ensemble, even using the entire low brass section if desired. From an educator’s perspective, it can be an easier ensemble to assemble than an all trombone or all tuba/euphonium group, plus it involves all of the low brass section. While this suggested instrumentation is the best sounding, the Low Brass Ensemble is very flexible if adjustments need to be made. It works with just about any combination of the low brass instrument family you may have, as long as the players can handle the part. Examples: 3 trombones and tuba, 3 euphoniums and tuba, 1 trombone, 2 euphoniums, and tuba, etc. From an educational standpoint, participation is the key. Listening to Low Brass Ensemble musical performance (go here to listen to some Mp3 tracks) is a wonderful experience! It combines the brilliance of the Trombone Choir with the richness of the Tuba/Euphonium Ensemble. As it is a new group, literature is limited. Norlan Bewley has written Low Brass Ensemble music for use in his Performance Through Participation clinics, and is developing a music series in book form for the LBE. Play Along with Norlan’s Low Brass Ensemble – Sheet Music, Scores & Mp3 Music Tracks. Pick your part: 1st Trombone, 2nd Trombone, Tuba or Euphonium. Choose from five popular musical pieces arranged and performed by Norlan Bewley. Get the sheet music & a Mp3 and play along with Norlan’s Low Brass Ensemble. Learn More Here. Video Instruction for Trombone, Euphonium, and Tuba – The first series of videos, “Getting Started” is oriented towards beginning players; it is followed by an “Advancing Your Skills” with Trombone, Euphonium or Tuba” series.